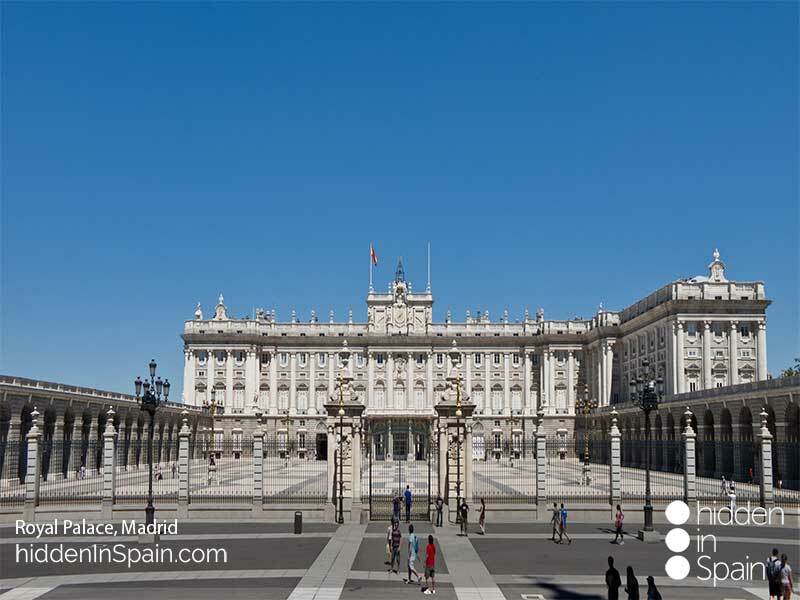 This trip was organized for an american couple that wanted to visit the capital of Spain, where interested in the Basque Country and the south of Spain. Their main interests were food and wine beside cultural cities and activities. Sightseeing was also important for the. and they didn’t care about driving so they had a mis of public transportation and car rental to discover a little bit more in depth some of the areas they were going to visit. A very complete trip that could only be improved having some more few days to visit a little bit more of northern Spain. Please read below the itinerary and activities I included for them in this 18 days tour. They arrived in Madrid where Pascual, their Chauffeur was waiting for them at the airport to take them to their hotel, a 4* superior hotel beside the Plaza del Sol square that made it very convenient to reach the old quarter walking but far enough not to listen the noise of the popular square. That evening they had arranged a private guide walking tour through the old quarter, Madrid of Augsburg’s. Overnighting in Madrid, roundtrip high speed train tickets to Toledo were arranged. Toledo, the city of the Three cultures since muslims, jewish and christians lived there together and that can be noticed in the buildings, traditions and even the food. A private guided walking (and partially driven) tour was arranged there with Maria Jesús, their local guide. Upon their return they enjoyed diner by themselves. After spending the day walking and visiting Madrid helped by the complete and comprehensive guide book that was personalized by myself with info about the area, maps, recommendations on what to see and do, etc… I had arranged for them a very special experience. A local guy, expert in Flamenco, picked them up at their hotel and took them to a special Flamenco show. Before it started, the expert was talking to them explaining the different kind of “palos” (kinds of Flamenco), what the artists express with each one, the artists they are about to see and a very good introduction to flamenco. While the show is happening the expert makes explanations and tips to what they were seeing and after the show they summarized everything and solved all the questions they had about Flamenco and the show. Later they were taken back to the hotel. They got to San Sebastian by train. It was a long trip, around 5 hours and 30 minutes, but trains in Spain are comfortable, seats are wide and you can stand up and walk to the cafeteria, see the sceneries from the wide window in the wagons and even see a movie on the tv. They checked in in their hotel, a 4* super hotel in la Concha beach, one of the most traditional ones. Their double deluxe rooms with sea views delight them. After the check in my good partner in the are, Jon, picked them up at their hotel and took them to the old quarter for a pintxos tour as we spanish people do, hoping from bar to bar asking for a wine / beer while enjoying different pintxos (miniature creations of food). Later they were taken back to their hotel. Jani, Jon’s wife, took the couple to visit a sheep farm in the countryside and learnt how to produce the local idiazabal cheese that is used in the best michelin restaurants. They spent some time with the sheets and saw all the process before tasting the wonderful cheese with some wine. Later they were taken to a local winery in the slopes of a hill facing the ocean where they vineyards produce a local grape that has as a result the local wine wine, txacoli. The views from there are extraordinaire and the wine makes it even better. After the visit to the winery they were taken to Getaria to have a short guided walking tour through its medieval old quarter and its wonderful beach since it is a coastal village of the Basque coast. To finish they were taken to a local restaurant, a grill, where the best fishes and shellfishes of the are (also greta meats if you are not a fish lover) are grilled. For diner they had arranged a gorgeous diner at a michelin starred restaurant with great views over the city. My good partner in the Basque country took them in a private tour to the prestigious Rioja wine area. They were taken to 2 different special wineries (one was the largest underground cellar existing in Spain) and visited one but tasted different wines in both and walked through the vineyards where they had arranged a small aperitif of spanish food. Then they were taken to take pictures of the exteriors of modernist wineries, some of them designed by prestigious architects such as Frank Gehry, the Marques de Riscal and the Ysios wineries. Later they were taken to have a special meal of local food at a local restaurant. 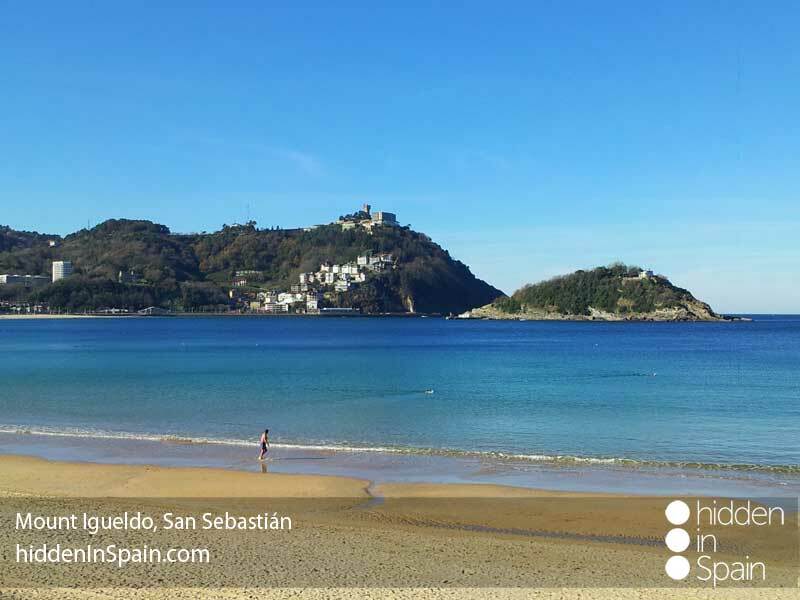 Before going back to San Sebastian they were taken to Laguardia, a small village of the area, to have a short guided walking tour of its medieval old quarter. I arranged car hire for them for today. 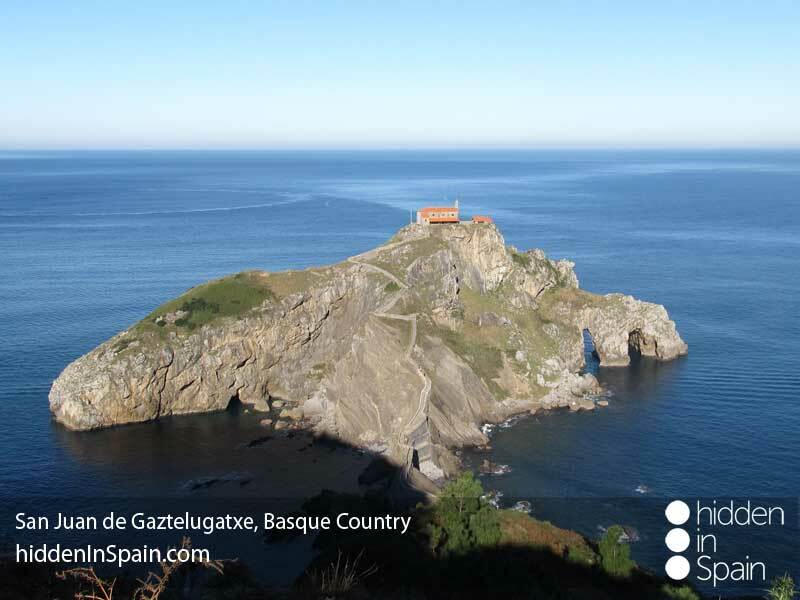 It was a great way of visiting the coast between San Sebastian and Bilbao at their own pace. They visited some coastal villages like Zarautz, Zumaia (where flysch formations can be visited in the beach) and the splendid San Juan de Gaztelugatxe, an hermitage built in an island in the middle of the ocean that can be reached through a long stair, one of the most beautiful places in the northern coast of Spain. To end they visited the hanging bridge in Getxo (a neighborhood of Bilbao). 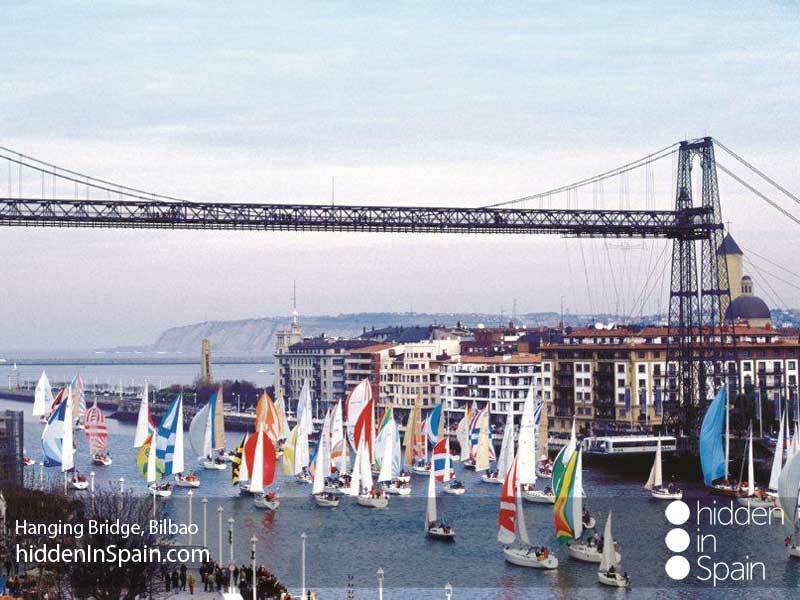 It is the oldest hanging bridge os Europe still in use. Finishing the tour they were taken to its 4* superior hotel in front of the Guggenheim. In fact their double deluxe room had views to the museum. After the check in they were taken in a private guided walking tour through the old quarter. Tickets for the Guggenheim museum had been arranged and the visit took them the whole morning. They had the afternoon at their own pace to finish this wonderful day with a diner at a michelin starred restaurant. I had arranged a domestic flight to Sevilla for them. They got to their 4* boutique hotel (a quaint 18th century building with a traditional andalusian patio) and rest for a while in their double superior room with balcony. This afternoon I had arranged a private guided walking tour through the city with a local for them. I arranged a special private tour departing from their hotel in Sevilla. Carlos, my partner in the area, a local guy, picked them up and took them to visit the famous so called “white villages” before going to an equestrian show with andalusian horses in the Royal Andalusian School of Equestrian Art. Later they were taken to a winery in Jerez to taste the popular sherry wines. They decided to have lunch at the winery before returning to their hotel in the evening. Train to Córdoba to check in at their 4* elegant hotel comprising a pair of 18th-century Moorish mansions including an andalusian patio. Their superior room was excellent. A private guided walking tour through the jewish quarter was organized for them. Their local guide had a tremendous expertise about the area. They visited the synagogue the Alcazar the arab baths and of course the great and magnificent Mosque-Catehdral unique in the world. Train to Granada where they had a booking at a 3* boutique hotel dedicated to Juan Ramon Jimenez, the spanish poet, and located in the Albayzin neighborhood. Their deluxe superior room included views to the Alhambra. That afternoon a private guided walking tour through two of the most emblematic neighborhoods, that is Albayzin and Sacromonte, was organized. Another private tour with their local guide expert in history. This time visiting the Alhambra. It is one of the experiences you won’t want to miss if you visit this city but be careful! !, tickets must be booked in advance, sometimes more than 3 months in advance. Don’t leave this for the very last moment or you won’t be able to visit it. I arranged a car hire for them to drive toward Malaga. Their 4* boutique hotel in the main street off the city and their room with views to this street was excellent. That evening a private guided walking tour through the city (they were given the opportunity to drive up to the Gibraltar, what they didn’t miss, to get great views over the city) was arranged. Their local guide, Jose Manuel, is able to give you a great view of the local life while he explains you all the city like an expert guide. Tickets for the Picasso museum were also arranged as part of this tour. I told them to drive to Ronda, a small village about 1,5 hours from Malaga but that well deserves a visit. Its new bridge over a gorge is amazing, its old quarter and the oldest bullring in Spain are all must see. Jose Manuel met them there to have a complete private guided tour with a resident, since he lives there. After dropping off their car they took a high speed train to Madrid where a private transfer was waiting for them to take them to the airport and fly back home. 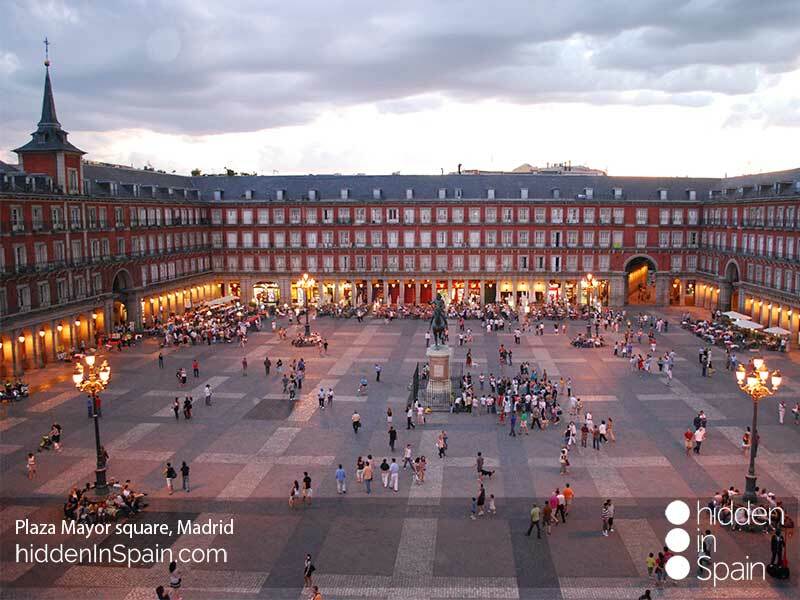 MADRID: 4* superior hotel beside the Plaza del Sol square that made it very convenient to reach the old quarter walking but far enough not to listen the noise of the popular square. Their double rooms with balcony facing the lively streets of Madrid were excellent. 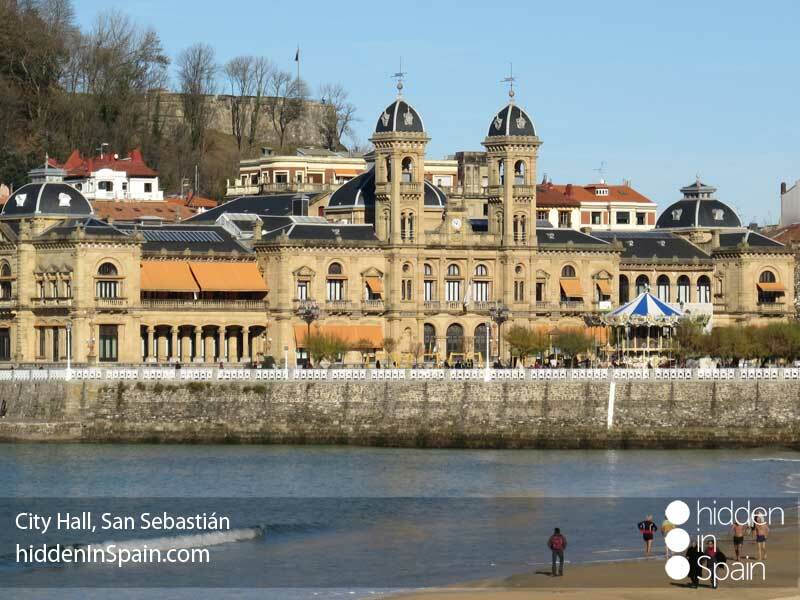 SAN SEBASTIÁN: 4* superior hotel in la Concha beach, one of the most traditional ones in town. Their double deluxe rooms with sea views delighted them. 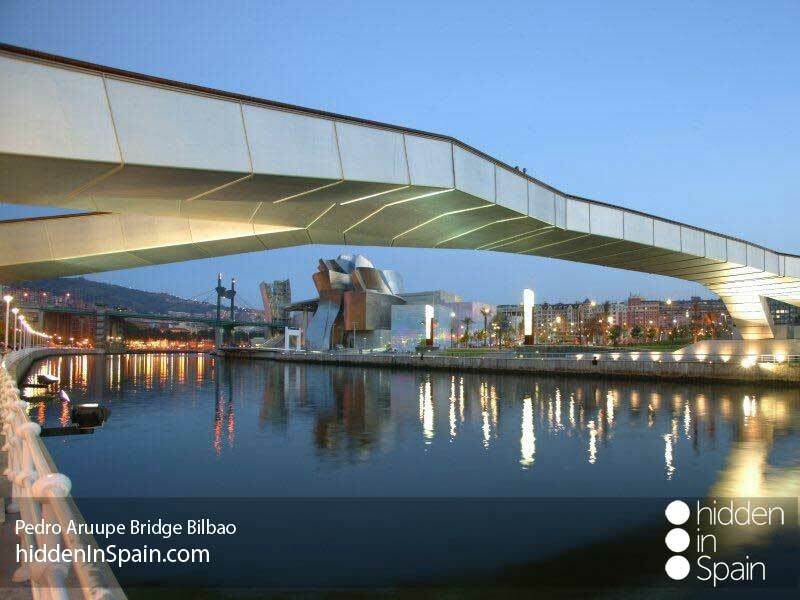 BILBAO: 4* superior boutique hotel in front of the Guggenheim. In fact their double deluxe room had views to the museum. 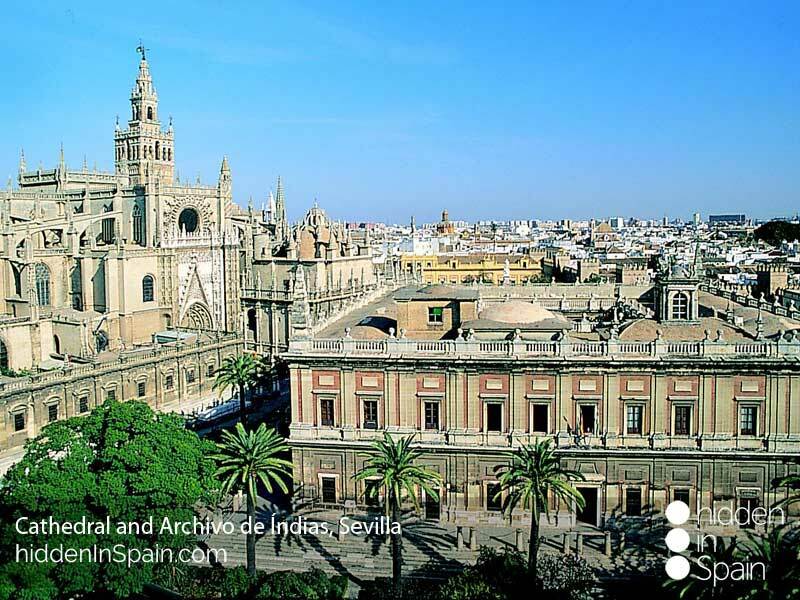 SEVILLA: 4* boutique hotel (a quaint 18th century building with a traditional andalusian patio). Double superior room with balcony. CORDOBA: 4* elegant hotel comprising a pair of 18th-century Moorish mansions including an andalusian patio. Their superior room was excellent. 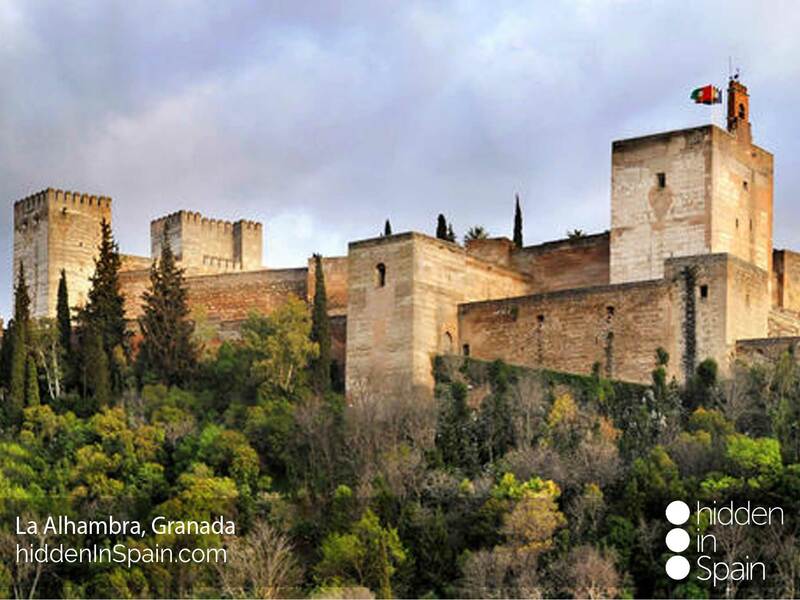 GRANADA: 3* boutique hotel dedicated to Juan Ramon Jimenez, the spanish poet, and located in the Albayzin neighborhood. Their deluxe superior room included views to the Alhambra. MALAGA: 4* boutique hotel in the main street off the city and their room with views to this street was excellent. 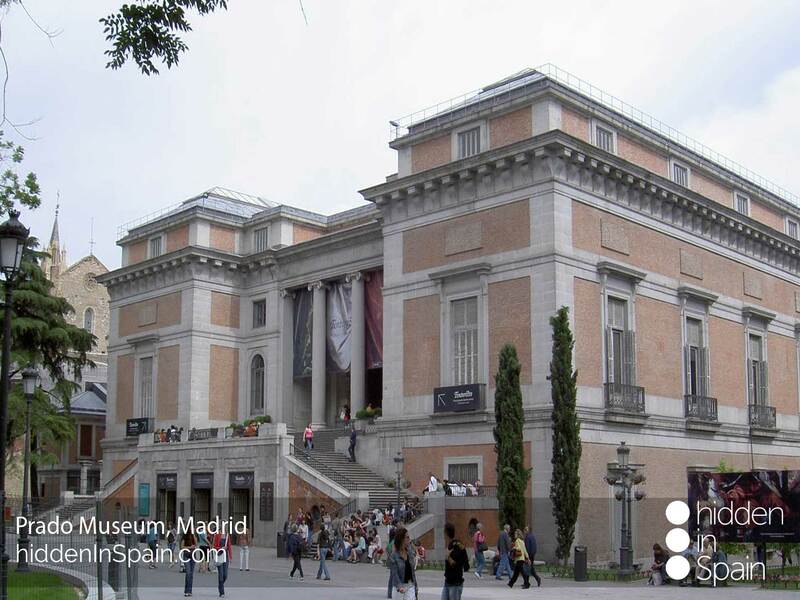 MADRID CITY TOUR: Private guide walking tour through the old quarter, Madrid of Augsburg’s. 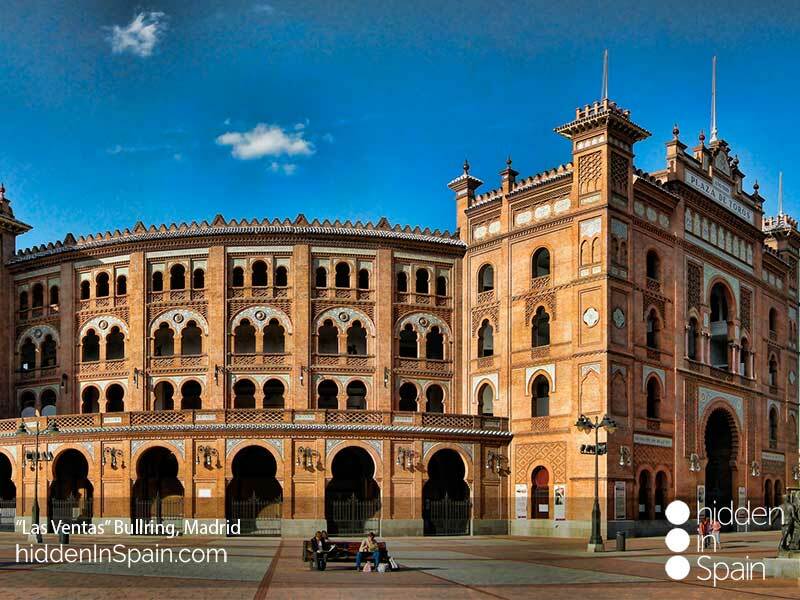 TOLEDO: Roundtrip high speed train tickets to Toledo arranged. Private guided walking (and partially driven) tour in Toledo was arranged with Maria Jesús, their local guide. FLAMENCO EXPERIENCE: A local guy, expert in Flamenco, picked them up at their hotel and took them to a special Flamenco show. Before it started, the expert was talking to them explaining the different kind of “palos” (kinds of Flamenco), what the artists express with each one, the artists they are about to see and a very good introduction to flamenco. While the show is happening the expert makes explanations and tips to what they were seeing and after the show they summarized everything and solved all the questions they had about Flamenco and the show. Later they were taken back to the hotel. PINTXOS TOUR: my good partner in San Sebastián, Jon, picked them up at their hotel and took them to the old quarter for a pintxos tour as we spanish people do, hoping from bar to bar asking for a wine / beer while enjoying different pintxos (miniature creations of food). Later they were taken back to their hotel. BASQUE WINE & CHEESE: Jani, Jon’s wife, took the couple to visit a sheep farm in the countryside and learnt how to produce the local idiazabal cheese that is used in the best michelin restaurants. They spent some time with the sheets and saw all the process before tasting the wonderful cheese with some wine. Later they were taken to a local winery in the slopes of a hill facing the ocean where they vineyards produce a local grape that has as a result the local wine wine, txacoli. The views from there are extraordinaire and the wine makes it even better. 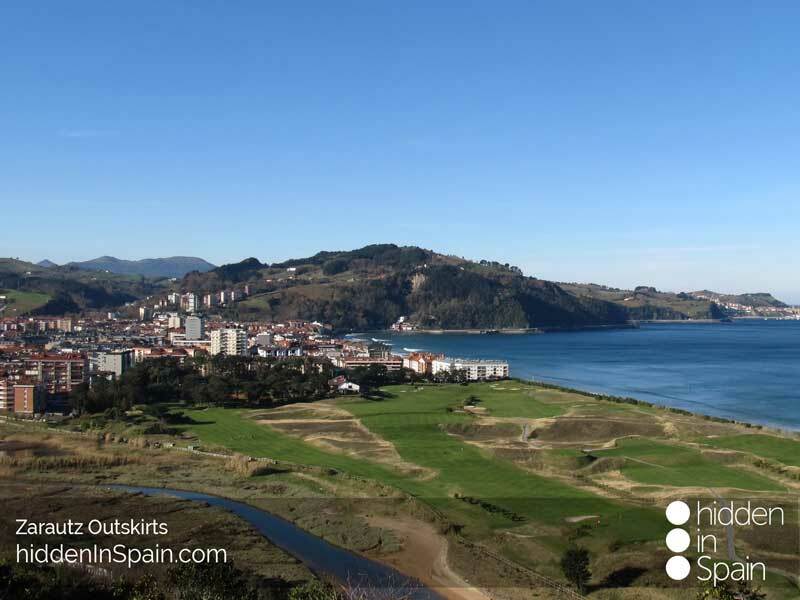 After the visit to the winery they were taken to Getaria to have a short guided walking tour through its medieval old quarter and its wonderful beach since it is a coastal village of the Basque coast. To finish they were taken to a local restaurant, a grill, where the best fishes and shellfishes of the are (also greta meats if you are not a fish lover) are grilled. RIOJA WINE AREA: My good partner in the Basque country took them in a private tour to the prestigious Rioja wine area. They were taken to 2 different special wineries (one was the largest underground cellar existing in Spain) and visited one but tasted different wines in both and walked through the vineyards where they had arranged a small aperitif of spanish food. Then they were taken to take pictures of the exteriors of modernist wineries, some of them designed by prestigious architects such as Frank Gehry, the Marques de Riscal and the Ysios wineries. Later they were taken to have a special meal of local food at a local restaurant. 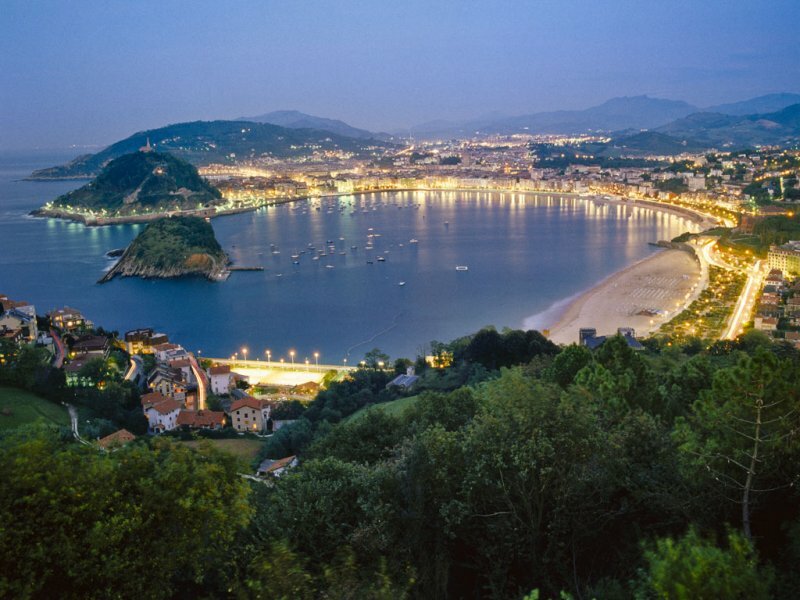 Before going back to San Sebastian they were taken to Laguardia, a small village of the area, to have a short guided walking tour of its medieval old quarter. BILBAO: After driving the coast they were given a private guided walking tour through the old quarter. 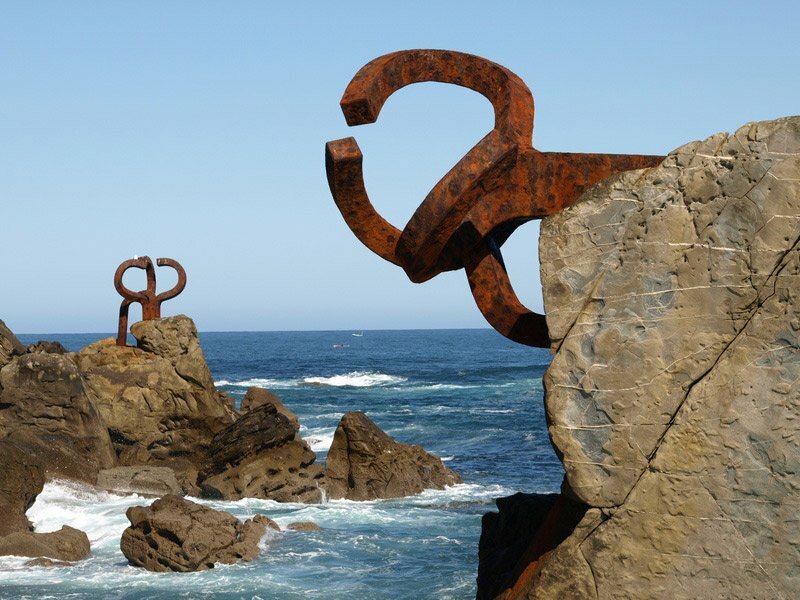 BILBAO: Tickets for the Guggenheim museum had been arranged. 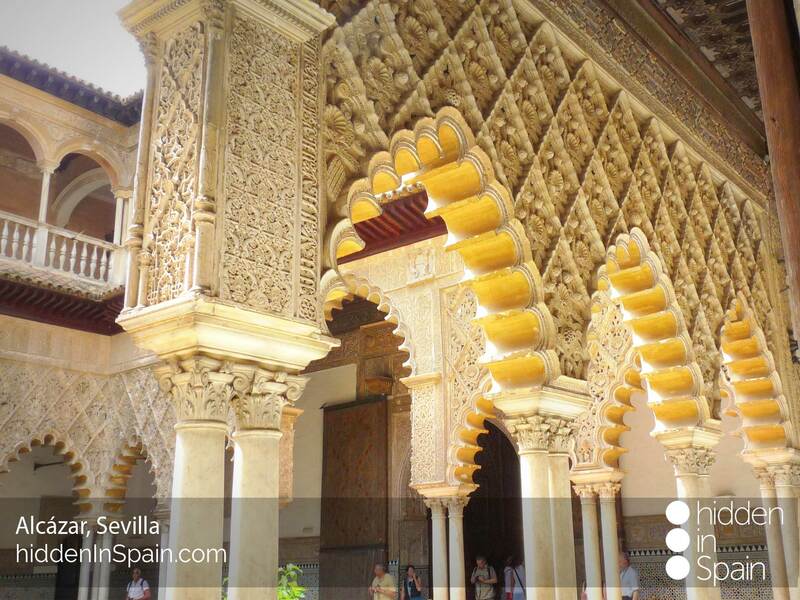 SEVILLA: private guided walking tour through the city with a local. JEREZ & WINERIES: special private tour departing from their hotel in Sevilla. Carlos, my partner in the area, a local guy, picked them up and took them to visit the famous so called “white villages” before going to an equestrian show with andalusian horses in the Royal Andalusian School of Equestrian Art. Later they were taken to a winery in Jerez to taste the popular sherry wines. They decided to have lunch at the winery before returning to their hotel in the evening. 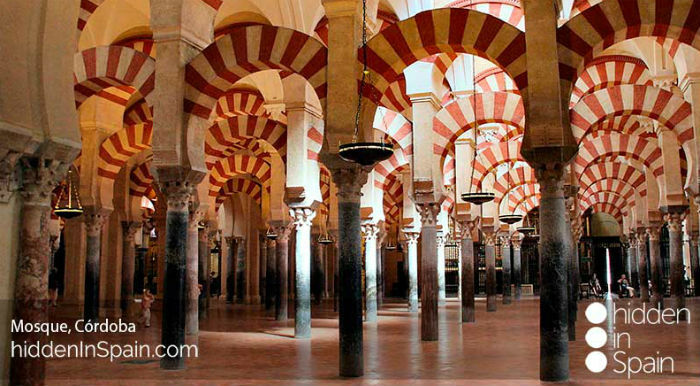 CORDOBA: private guided walking tour through the jewish quarter was organized for them. Their local guide had a tremendous expertise about the area. They visited the synagogue the Alcazar the arab baths and of course the great and magnificent Mosque-Catehdral unique in the world. 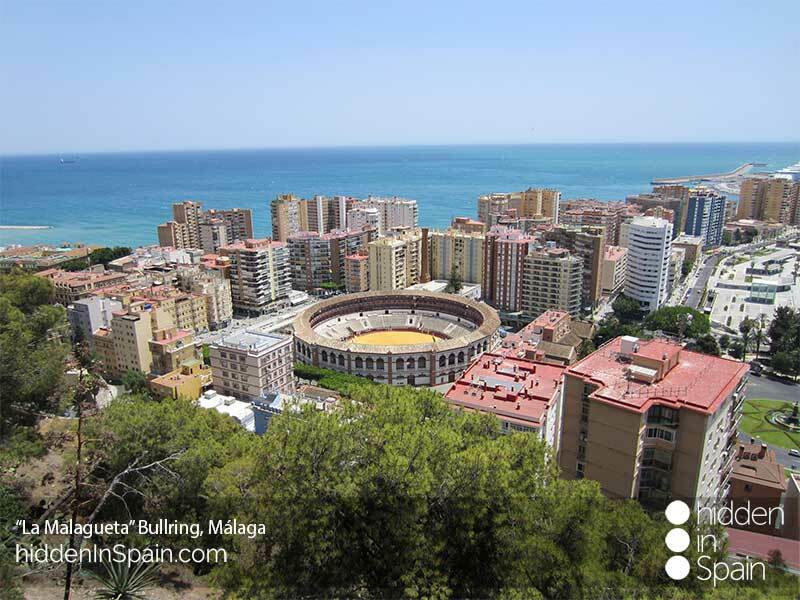 MALAGA: private guided walking tour through the city (they were given the opportunity to drive up to the Gibraltar, what they didn’t miss, to get great views over the city) was arranged. Their local guide, Jose Manuel, is able to give you a great view of the local life while he explains you all the city like an expert guide. Tickets for the Picasso museum were also arranged as part of this tour. RONDA: a small village about 1,5 hours from Malaga but that well deserves a visit. Its new bridge over a gorge is amazing, its old quarter and the oldest bullring in Spain are all must see. Jose Manuel met them there to have a complete private guided tour with a resident, since he lives there. 2 special michelin starred restaurants were arranged and diner included, in San Sebastian and Bilbao. Privare transfers from/to airports were arranged. Also train/bus/domestic flight tickets and car rental when needed.